Turkey’s migration identity has shifted from being principally a country of emigration and transit to becoming a destination for immigrants and people fleeing conflict. In response, Turkish policymakers recently have re-evaluated migration systems to address this new status and create a more comprehensive migration and asylum policy. In April 2013 the Turkish Parliament adopted the Law on Foreigners and International Protection (Yabancılar ve Uluslararası Koruma Kanunu). Implemented in April 2014, the law is intended as a significant step toward managing both legal and irregular migration to Turkey, including humanitarian migration. The new legislative framework reflects growing pressure to delineate migration policies for legal immigrants as well as to create an explicit procedure for humanitarian migrants. Sweeping in scope, the law seeks to put in place a comprehensive approach to migration management and tackle many of the current gaps in Turkey’s migration policies, including disjointed oversight, excessive bureaucracy for applicants seeking work and residence permits, and the lack of a policy framework for asylum seekers. Its enactment reflects the growing conviction that a strategic approach to migration can deliver benefits. The legislation has received praise from the European Commission and others as a strong step towards managing migration flows of all types. It also has been recognized specifically for its progress regarding the legal circumstances of humanitarian migrants—of major significance in a country that currently hosts more than 808,000 Syrian refugees, a group estimated to top 1 million by year’s end. With the law taking full force only in April 2014, time will be required to assess its effectiveness. While the legislation makes substantial changes on paper, it remains to be seen how successfully they will be implemented. This article outlines the changes that fostered the environment for reform and major provisions of the law, and discusses international reaction and expectations for its implementation. Geography, economics, and regional politics all have played a role in the evolution of Turkish migration trends and policies. As a gateway between Europe, Asia, and Africa, Turkey has historically been a focal point for transcontinental migration and its location places it on a prime route for migrants looking to enter Europe. For much of the 20th century, migration from Turkey flowed largely to Western Europe, the Middle East and North Africa (MENA) region, and the former Soviet region now known as the Commonwealth of Independent States (CIS). Labor migration agreements in the early 1960s with Western European countries, most notably Germany, led to historic outflows of Turkish laborers. When the need for labor migrants in these countries lessened in the 1970s, Turks continued to migrate for family reunification. From the mid-1970s onward, Turkish labor migrants headed principally to MENA and CIS countries. Today, the Turkish Ministry of Foreign Affairs estimates more than 5 million Turks live abroad, a population equal to 6 percent of the country’s 82 million inhabitants. Source: Turkish Ministry of Labor and Social Security, “Yurtdişindaki Vatandaşlarimizla İlgili Sayisal Bilgiler,” December 31, 2010, www.csgb.gov.tr/csgbPortal/diyih.portal?page=yv&id=1. Note: This chart includes the 10 largest populations of Turkish citizens living abroad. Turkey has historically experienced immigration inflows, though not from such wide-ranging sources. As part of the effort to build a strong national identity, beginning in the 1920s immigration was encouraged and citizenship granted to foreign nationals of Turkish descent or culture and other specified Muslim communities living outside of Turkey. These migrants were relatively easy to assimilate, since many already spoke Turkish, practiced the same religion, and had familial ties in the region. In recent decades, flows have been more diverse and stem from farther away—including Bulgaria, Germany, Greece, Macedonia, and Romania. This has created a more heterogeneous population and raised integration concerns. An estimated 2 percent of Turkey’s population in 2013 was foreign born, representing nearly 1.9 million people. These migrants come to Turkey for many reasons, but one of the strongest pull factors for both irregular and legal migration has been Turkey’s flourishing economy. Over the last decade, the Turkish economy has continued to grow even as other countries were suffering severe economic contractions during the global financial crisis. This economic growth has continued even with the considerable refugee burden that has caused some economic and social tension between native Turks and refugees. Members of the Turkish diaspora and foreign nationals alike have been drawn to Turkey by favorable economic conditions. The Turkish European Foundation for Education and Scientific Studies found that between 2007-11, nearly 200,000 Germans of Turkish heritage “returned” to Turkey, often to pursue economic opportunities. Many of these migrants are young and find their Western European education and skills, combined with their Turkish language abilities, highly valued in Turkey. Quite a few of these “returnees” are not returning in the literal sense—they were born and raised in Germany or other countries. Turkish policies favor such returnees—those who have retained Turkish citizenship do not need to apply for visas or work permits. (Turkish law allows dual citizenship if born to at least one Turkish citizen parent). Former Turkish citizens who have relinquished Turkish citizenship can acquire a “blue card,” which grants them some rights such as the right of residence and work. Irregular migrants from Eastern Europe, the Middle East, Africa, and Asia also find the Turkish economy a draw. Many unauthorized migrants remain in Turkey beyond their intended stay because of greater economic opportunity, difficulty reaching their intended destination, or inability to return home due to conflict, persecution, or lack of resources. Even so, their numbers are relatively small; the Migration Policy Centre estimated in 2011 that 20,000 to 40,000 unauthorized foreign workers were employed in Turkey. Besides the draw of a growing economy, Turkey offers respite from a tumultuous regional political climate, which has significantly increased immigration to Turkey as well as migration through Turkey. Upheaval in nearby countries has led to major humanitarian inflows from Syria, Afghanistan, Iran, Iraq, and even Somalia. The Syrian crisis, which has pushed more than 2.9 million Syrians to flee their country, has hit neighboring countries especially hard—to date, Turkey has spent more than $3.5 billion to establish and run refugee camps and provide services. Turkey is one of the original signatories to the 1951 Convention relating to the Status of Refugees, which defines refugees, their rights, and states’ obligations to them. However, unlike the majority of signatory countries, Turkey maintains a geographical limitation, according refugee status only to individuals from European countries. As a result, asylum seekers from non-European countries are expected to be resettled elsewhere or returned to their country of origin. Syrian refugees are therefore under temporary protection intended to relieve the current emergency humanitarian situation, but it is unclear whether Turkey will allow these refugees to remain indefinitely and integrate into Turkish society. With prospects for a near-term end to the Syrian civil war grim, Turkey will have to contemplate a plan to address the longer-term future for Syrians, who are unable to return home and unlikely to gain third-country resettlement in significant numbers. Turkey’s migration ties also have been shaped by the possibility of the country’s eventual accession to the European Union and pressure from the European Commission. In addition to working to create a more secure border management system, Turkey has undertaken various harmonization efforts with the European Union and the broader international community. Examples include adjusting its penal code to include penalties for human trafficking and smuggling and making its visa types and descriptions more similar to EU visas. Among the stumbling blocks to Turkey’s accession to the European Union was the lack of a readmission agreement governing the treatment of unauthorized migrants originating from or transiting through Turkey. Such an agreement was ultimately reached in December 2013, allowing irregular Turkish migrants and third-country nationals who traveled via Turkey to the European Union to be returned to Turkey. In return, the European Union has established a framework to liberalize visa regulations for Turks traveling to EU Member States and ultimately achieve visa-free travel with Turkey. Further progress is predicated in part on Turkey improving its migration management policies, including tighter border security and greater coordination of migration practices across government agencies. The new law addresses some of these concerns, and may be viewed as indicative of continuing EU aspirations. The Law on Foreigners and International Protection (Law No. 6458) was adopted on April 4, 2013 and is intended to guide procedures relating to foreigners’ entrances, stays, and exits from Turkey. This is the first Turkish law to address asylum, as well as the first comprehensive law touching on other major facets of the immigration system—from the management of legal, unauthorized, and humanitarian migration to immigrant integration policymaking and programs, and the creation of an executive-branch agency devoted exclusively to migration management. While significant attention has been paid to the new law with regard to its human-rights components, there has been less focus on its provisions regarding nonhumanitarian migration. Major policy changes are outlined below. A substantial change introduced by the law is the centralization of migration policy development within a newly created General Directorate for Migration Management (GDMM). Prior to the GDMM’s creation, most migration issues were addressed via secondary legislation and regulations. The Directorate will serve as a coordinating force for implementation of the new law, taking over from and adding duties to those of the General Directorate of Security. The GDMM is structured as a central organization, headed by a Director General, with separate provincial offices, as well as an overseas organization. There are 365 new positions within the central organization, 2,540 in the provincial offices, and 100 in the overseas organizations. There are 12 departments in the GDMM, and all of levels of the organization will include migration experts or counselors. The GDMM’s responsibilities are wide ranging. They include developing new legislation and strategies, coordinating and managing multiagency efforts to combat irregular migration, standardizing practices, registering and determining status of potential refugees, and ensuring protection for victims of human trafficking, stateless persons, and those who receive temporary protection. The GDMM also serves as the Secretariat of the newly created Migration Policies Board, which operates under the chairmanship of the Minister of Interior. The Board is composed of Undersecretaries from ten ministries, including the Ministry of Labor and Social Security, the Ministry of Foreign Affairs, and the Ministry of Family and Social Policies. The law specifies that representatives of other ministries, international and national agencies, and nongovernmental organizations may be invited to join meetings as is deemed relevant. The board is the first of its kind, comprised of representatives from cross-cutting fields, government bodies, and organizations with an interest in migration. From the Directorate’s composition, it is clear that significant attention is being paid to two groups in particular: irregular migrants and humanitarian migrants. The law provides for specific deportation procedures to ensure consistent and humane treatment for unauthorized migrants and other removable noncitizens. These include limiting detention in removal centers to six months (or up to a year in cases of noncooperation), provisions for legal aid to those who cannot afford their own, and clear procedures regarding the right to appeal deportation decisions. The law also includes fines for illegal entrance and unauthorized residence, and places responsibility on carriers to return unauthorized migrants across borders if they were originally responsible for their transportation into Turkey. It allows the GDMM to refuse entry to foreigners on grounds of preserving public order, security, or health. Passport controls and borders remain under the control of the Turkish police and military. With respect to humanitarian migration, the law—while not rescinding provisions that limit refugee designations to persons from European countries—has expanded protections. It creates a new policy framework as well as physical infrastructure for foreigners seeking international protection. Qualifying foreigners are divided into three categories: refugees, conditional refugees (intended to be resettled in a third country), and individuals under subsidiary protection. This last category is for those who do not fit into either of the two previous categories, but face risks in their origin countries. This subsidiary protection designation represents a shift away from prior policy, which classified those who did not qualify for refugee status simply as guests—the designation early flows of Syrians received. The majority of Syrians classified as refugees by the UN High Commissioner for Refugees (UNHCR) fall under the subsidiary “temporary protection” status created in the new law. The law includes a guarantee that administrative detention will be used only as an exceptional measure, not as a default for people who have applied for international protection. It also ensures residence in a designated reception and accommodation center and contains a specific non-refoulement provision, ensuring that asylum seekers and refugees will not be returned to a country where they are in danger. The law contains explicit provisions for dealing with unaccompanied minors, including that children younger than 16 must be kept in suitable accommodation with adult relatives or a foster family. Finally, it includes articles defining and creating a procedure to handle stateless persons. The GDMM will be in charge of developing and implementing new policies to address this population, although the Ministry of Disaster and Emergency Management will continue to handle the day-to-day needs of refugees. Beyond an expanded focus on migration control and humanitarian migration, the law touches upon immigrant integration policies (referred to as harmonization) as well as means to increase data collection and knowledge about non-Turkish residents. The law also mandates the collection of noncitizens’ personal data by GDMM, which had previously been done in a haphazard manner. This should provide a more complete picture of the foreign-born population in Turkey than currently exists. The new law has made changes to the types and methods of obtaining residence permits. Foreigners staying in Turkey beyond 90 days or their country’s allotted visa-free period are required to get a residence permit, which is valid only if used within six months of receipt. Most types of permits must now be sought at a Turkish embassy or consulate in the migrant’s origin country via the Ministry of Foreign Affairs rather than upon arrival in Turkey from the Ministry of Interior. The new law defines six types of residence permits: short-term, long-term, family, student, humanitarian, and for victims of human trafficking. Foreigners now have 90 days rather than 30 to apply for a residence permit after arrival. Residence permit fees and durations will also be standardized by the GDMM. The law has introduced certain nuances to family residence permits. It upholds a 2003 change to the Turkish nationality law granting foreigners a residence permit rather than citizenship upon marriage to a Turkish national, a change meant to prevent fictitious marriages or “marriages of convenience.” This alteration, however, resulted in a higher dependence of foreigners on their spouses for residency. To prevent foreign spouses from being trapped in abusive marriages, the law states that spouses of nationals who have been subjected to domestic violence may remain in Turkey even if they get divorced within three years of marriage, which in other cases would cause them to lose their residency. According to the new law, foreigners who have resided in Turkey for eight years without significant interruption (defined as spending six months in a one-year period or one year in a five-year period out of the country) can apply for permanent residence permits. Foreigners who have worked for six years uninterruptedly can obtain an indefinite work permit, which also serves as a residence permit. In a development expected to greatly reduce processing time and paperwork, work permits can now serve in the place of residency permits, but must be sought within 30 days of arrival and prior to commencement of work. The procedure for obtaining a visa has been modified. Visitors were previously able to purchase sticker visas at border crossings. Applicants must now obtain an e-visa either online prior to their arrival or at an airport kiosk. These visas continue to be valid only for tourism and commercial purposes. Visa duration and other specifications remain regulated by the passport holder’s nationality. In addition, when determining a foreigner’s status or right to access Turkey, individuals may only be held at border controls for a maximum of four hours. Still, some trepidation remains. Concerns have been voiced by members of the Council of Europe’s Parliamentary Assembly that the law will take years to be implemented and that there will not be enough training for personnel implementing the law with respect to human rights and refugee law. The UN Special Rapporteur on the Human Rights of Migrants, François Crépeau, noted in a report for the UN Office of the High Commissioner for Human Rights that although the law represents a major step towards a comprehensive migration framework, it still requires coordinated effort across multiple agencies and ministries for successful implementation, which has been an issue in the past. The law has also drawn strong disapproval for not removing the geographical limitation on refugee status, which critics believe is crucial to providing full-coverage international protection. Amnesty International has criticized the limitation in Turkey, claiming it forces “most [conditional refugees to] live in destitution and/or work illegally in exploitative conditions.” The European Union has made lifting the geographical limitation a condition to membership, and the Refugee Solidarity Network has derided the maintenance of the geographical limitation as preventing refugees from seeking long-term relief in Turkey. In 2012 the Chairman of the refugee-rights nonprofit Mülteci-Der was quoted as saying, “Overall it is a good law, but in my view as long as the geographical limitation is maintained, it remains problematic.” Finally, the lack of detail concerning immigrant integration policies and programs provides neither strong direction nor practical discussion of how these efforts will ultimately be implemented. In the months since Turkey’s migration law came into force, there have been some reports of transitional chaos, mostly regarding the issuance of residence permits. The Turkish Foreigners Department has warned that individuals waiting to apply for or receive residence permits may have trouble leaving or entering Turkey. In some locations, it is impossible to book an appointment to apply for a residence permit before October. The expectation is that once the transition period is over, the new residence permit process will be more efficient. Meanwhile, it is unclear how quickly the rest of the law will come into action. The GDMM’s local offices were slated to take over all migration- and international protection-related responsibilities from the Turkish National Police as of April 2014, including supervision of removal centers and deportation decisions. The Global Detention Project reported that construction had been planned or initiated for a number of new or renovated removal and detention centers when the law took effect in April, but the Helsinki Citizens Assembly Turkey has estimated that the GDMM may not assume full responsibilities for over a year after that date, and the law specifies that units and personnel currently carrying out relevant duties should continue until the Directorate is prepared to take over. 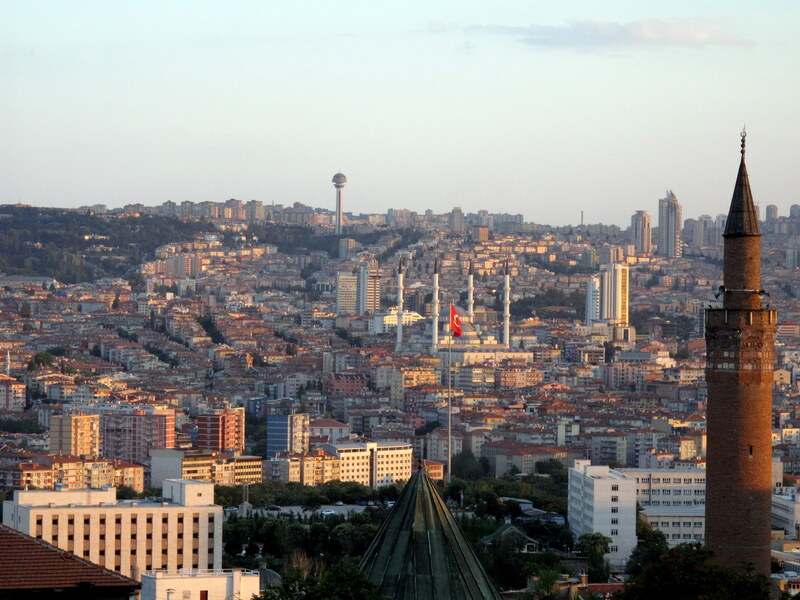 And as reports continue of rising tensions between Turkish hosts and refugees, it is unclear whether the Turkish population has embraced the idea of welcoming immigrants, and whether the GDMM has enough government support to assume its new responsibilities. It will take years to determine the law’s efficacy and whether it encourages legal migration, slows irregular migration, and provides adequate oversight while aiding those seeking international protection. What is already clear is that Turkey is recognizing the importance of creating a coherent migration management framework, and is taking significant steps in that direction. Amnesty International. 2014. The Human Cost of Fortress Europe: Human Rights Violations Against Migrants and Refugees at Europe’s Borders. London: Amnesty International. Available Online. Council of Europe. Parliamentary Assembly. 2013. Turkey’s draft law on Foreigners and International Protection (written question by Joe Benton, United Kingdom). Brussels: Council of Europe Parliamentary Assembly. Available Online. European Commission. 2013. Joint statement by Commissioners Štefan Füle and Cecilia Malmström on the adoption by the Turkish Parliament of the law on foreigners and international protection, MEMO/13/297, April 5, 2013. Available Online. ---. 2013. Roadmap Towards a Visa-Free Regime with Turkey. Brussels: European Commission. Available Online. Grange, Mariette and Michael Flynn. 2014. Immigration Detention in Turkey. Geneva: Global Detention Project. Available Online. Güsten, Susanne. 2012. As Refugees Flood Turkey, Asylum System Nears Breakdown. The New York Times, September 26, 2012. Available Online. Hurriyet Daily News. 2013. 193,000 Turks come back from Germany in 4 years. March 14, 2013. Available Online. İçduygu, Ahmet, Zeynep Gülru Göker, Lami Bertan Tokuzlu, and Seçil Paçacı Elitok. 2013. Turkey Migration Profile. Florence: Migration Policy Centre. Available Online. Journal of Turkish Weekly. 2014. Syrian refugees hold on to life with locals’ help on Istanbul sidewalks. The Journal of Turkish Weekly, July 17, 2014. Available Online. North, Samantha. 2014. Expats stranded in Turkey due to residence permit delays. The Telegraph, July 1, 2014. Available Online. Republic of Turkey, Ministry of Foreign Affairs. Undated. Turkish Citizens Living Abroad. Accessed July 24, 2014. Available Online. Republic of Turkey, Ministry of Interior, Directorate General of Migration Management. 2014. Law on Foreigners and International Protection. Available Online. Republic of Turkey, Ministry of Labor and Social Security and Ministry of Foreign Affairs. 2010. Yurtdişindaki Vatandaşlarimizla İlgili Sayisal Bilgiler, December 31, 2010. Available Online. Resmi Gazete. 2013. Yabancilar ve Uluslararasi Koruma Kanunu, Kanun No. : 6458, Sayı 28615, Kabul Tarihi, November 11, 2013. Available Online. United Nations, Department of Economic and Social Affairs. 2013. Trends in International Migrant Stock: The 2013 revision (United Nations database, POP/DB/MIG/Stock/Rev.2013). Available Online. UN General Assembly, Human Rights Council. Report by the Special Rapporteur on the human rights of migrants, François Crépeau, Addendum, Mission to Turkey (25-29 June 2012). April 17, 2013. Available Online. United Nations High Commissioner for Refugees (UNHCR). 2013. UNHCR welcomes Turkey's new law on asylum. April 12, 2013. Available Online. ---. 2014. Syria Regional Refugee Response: Regional Overview. Accessed July 23, 2014. Available Online. ---. 2014. Syria Regional Refugee Response: Turkey. Accessed July 23, 2014. Available Online. Rebecca Kilberg was a Communications Specialist at MPI and a contributing author to the Migration Information Source, MPI’s online journal.